Justin Taylor edited the acclaimed short fiction anthology The Apocalypse Reader, and is the author of Everything Here Is the Best Thing Ever, a New York Times Editors' Choice. The Gospel of Anarchy is his first novel. I hate to be the guy who talks about the book nobody else can read yet, but yesterday I read the galley of Rebecca Wolff's novel, The Beginners, which is out from Riverhead in June. The prose is incredibly lush, even hypnotic--and the story has this great dreamy pull to it. I actually forced myself to stop about thirty pages out from the end, because it was two o'clock in the morning and because I wanted to prolong the experience some, but when I woke up today the first thing I did was grab it off the nightstand and finish. It reminded me of Jenny Offill's Last Things (another book I read in a day, give or take) and one of Wolff's blurbers mentions Mary Gaitskill, which makes sense as well, but it's truly its own strange thing. I'm very much hoping to have the chance to write about it when it comes out. 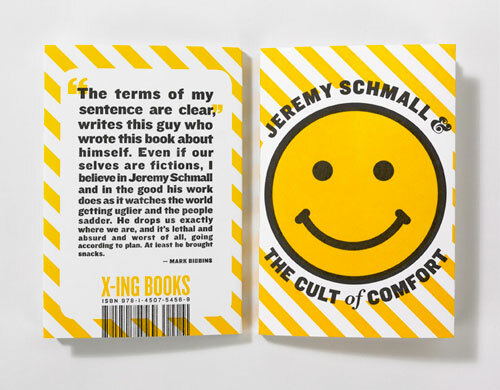 A new book that you can actually get your hands on right now is Jeremy Schmall and the Cult of Comfort by Jeremy Schmall. I wrote a little spiel about this a couple weeks ago for a bookstore blog, but the upshot is it's funny and dark and I think you will love it. You can read the three paragraphs supporting this assertion (plus a sample poem) at the McNally Jackson tumblr. The Page 69 Test: Everything Here Is the Best Thing Ever: Stories by Justin Taylor.